I am very excited indeedy to have a guest post from the lovely Emily Quinton on the blog today. Emily somehow finds the time to look after her three beautiful children, work as a brilliant wedding and family photographer, and run a parenting blog called The Start Up Wife. She tweets as @EmilyQuinton and has a sparkly new Facebook page here – so go and say hello after you’ve read this post about drawing with children. Growing up in a family where Mum and Dad both work in the creative industries my children are rather spoilt when it comes to arts and crafts. In fact, our dining room table gives priority to pens, pencils, crayons, glue sticks, scissors and lots and lots of paper. I have struggled with this in the past but I now just embrace it. At mealtimes we just slide it all to one side and make room for food. If we have guests coming over to eat with us, it all gets scooped into a cardboard box! Children love to draw. Learning to make their mark on paper is an important milestone in their development. My youngest is 11 months old and just at that turning point between eating the crayon and scribbling with it. It’s so exciting to watch, if you don’t mind a bit of a multi-coloured face occasionally! 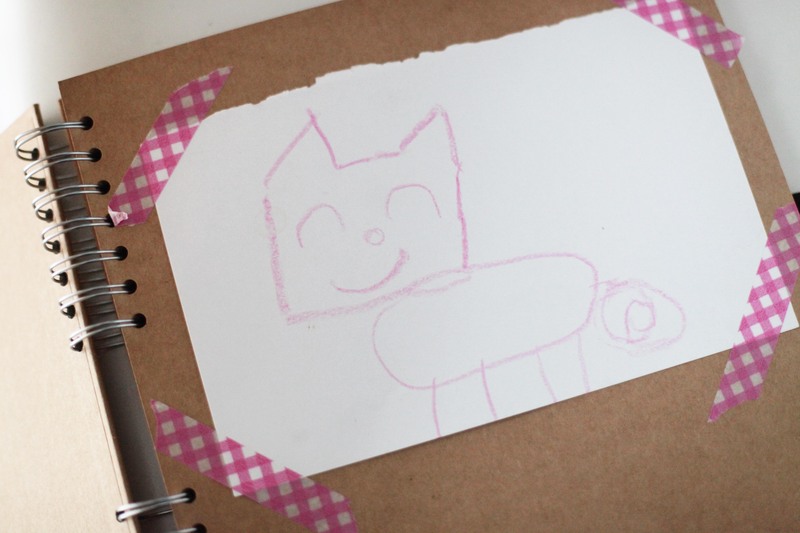 Draw a shape and then encourage your child to add eyes, a smile, a nose, arms, legs etc. Or to make the shape into a car, tree, flower etc. Talking through a description of a picture and watch your child’s imagination and drawing skills flourish as they create the picture you have in your mind on the paper. This is great for your imagination too! Fold pieces of paper and staple them together to make a little book. 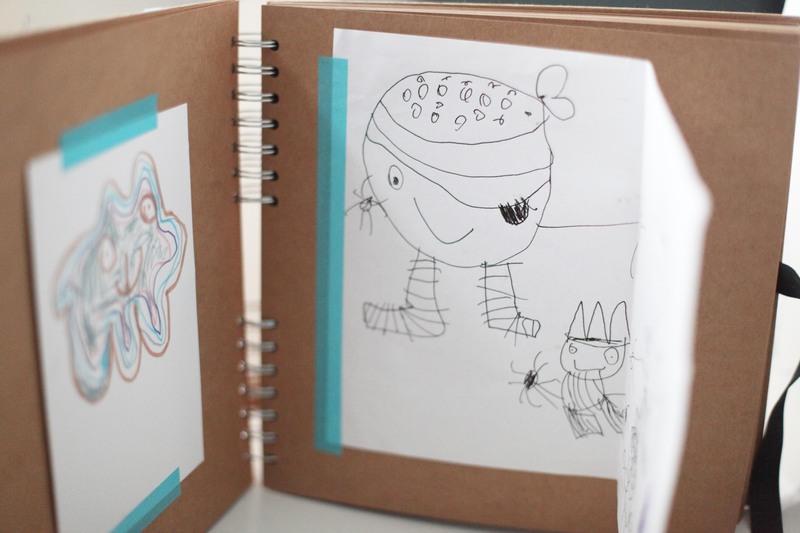 Encourage your child to create a little story in the book with pictures. Drawing pictures of their day out or their holiday. Don’t be afraid to draw with your children. They will love your drawings, however simple they are! Drawing fires their imagination and enables you to go on little adventures with them as you watch them draw and talk about their drawings with them. My children love it when we put their images up around the house. They are so proud to see their artwork on the walls. Since falling in love with washi tape this has got a whole lot easier too. The tape is like masking tape and you can stick pictures, photos etc to the walls without ruining wallpaper or paint. The children can even do it themselves. It always makes me smile when I notice a little drawing stuck a little bit wonky on the wall or a kitchen cupboard. I also have books which I stick some of my favourite pictures in. I then take a deep breath and tip the rest into the recycling bin! At the rate my children draw we really couldn’t keep them all! And, although it’s a long way off, every October The Big Draw is a fantastic thing to get involved in. There are hundreds of events across the country to inspire everyone to get drawing. Have fun and get drawing! Thanks for this post – I enjoyed reading it. It was a refreshing take on encouraging kids to be creative at a minimal cost too! I’m now full of inspiration just need to organise a drawing area. Lovely that you enjoyed this post and I’m glad you are full of inspiration. Have fun! 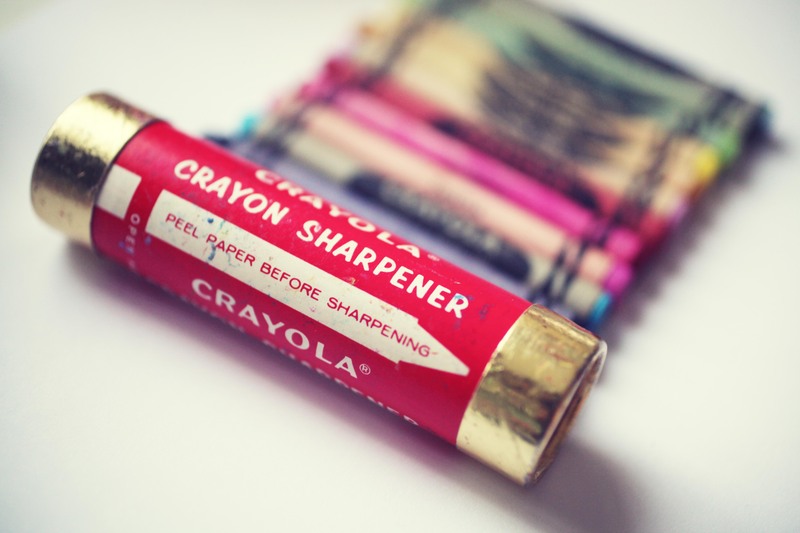 color crayons in our adult hands surely brings some joy and excitement after a hard days work.